Drumming is a great hobby and fun skill to have. Anyone that’s serious about becoming a better drummer, you can quickly improve through commitment and practice. If you are looking to take your playing to the next level, consider the following tips for improving your technique. There is no shame in going back to the basics. If you really want to take your drumming to the next level, you want to make sure that you have the simple stuff mastered. You might not even realize that you need a refresher on some beginner topics. Be honest with yourself about your strengths and weaknesses. What can you work on to make learning new things easier and more interesting? If you try to learn more advanced drumming techniques with a weak foundation, it will only lead to unnecessary difficulty and frustration. It is a lot easier to fix poor technique earlier rather than later. Make sure you can do techniques such as single and double strokes in your sleep. With consistent practice, fundamentals like these should come naturally. This next tip also has to do with patience. It can be easy to breeze through practice sessions when you are just having fun and striving to make it through a whole song. Confidence is a great thing to have when playing any musical instrument, but you should slow it down if at all possible. Take the time to realize what techniques you are struggling with. Break up songs and focus on one chunk at a time. Repeat sections that you are having trouble with until you can play them without a problem. Once you practice each part individually, you will be able to play the song as a whole. This will lead to better technique and give you the satisfaction of being able to play a song from start to finish. As a drummer, it is important that you develop a good sense of time. Hence, a metronome should be your new best friend. Although a few musicians have the gift of a perfect internal clock, you will likely benefit from playing along to a click. You’ll learn how to keep the tempo of any song, making you the most sought after player for any band. This trick will test your challenge your tempo and make you even more aware of beats. If a song is in 4/4, try playing it in ¾. At first, this is a lot harder than it sounds. Start off slow and increase the tempo as you become more comfortable. Once you get good at this exercise, you’ll improve your technique and be able to add an interesting sound to your percussion. When it comes to the drums, you want your playing to be efficient. You want each movement you make to be precise and purposeful. If you are creating unnecessary tension or overstretching, you are only wasting effort that could be used for other movements. Maximizing your drumming is a process that is unique to every player. Analyze how you perform certain techniques and figure out how you can make them more productive. Make sure you are using fundamentally correct methods and adapt them as needed to your playing style. You should also ensure that you are playing with equipment that is suitable for you. Shop from DCP to get a drum kit that is right for your sound. 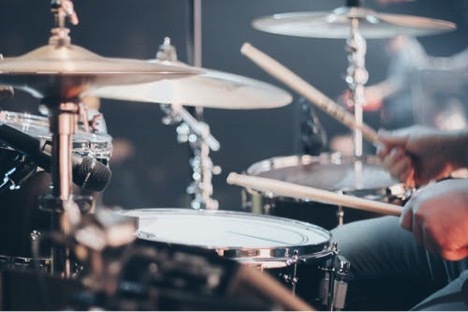 To become a great drummer, it is essential to learn the proper muscle memory. Muscle memory is not something that can be acquired by conscious thought. You simply have to repeat certain movements until they become engraved in your brain. This solicits the need for hours upon hours of focused practice and performance. When the ability to create beats becomes second nature, you’ll able to play along to almost any song.